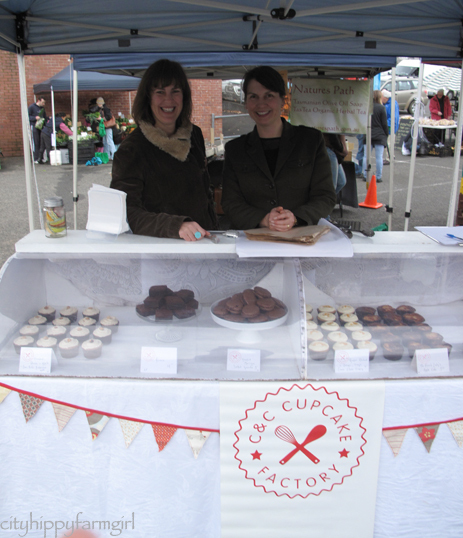 This entry was posted in Connecting with Community and tagged Cand C cupcake factory, holidays, matthew Evans, snow, Tasmania by cityhippyfarmgirl. Bookmark the permalink. So good to see you’ve been having a good time, thanks for sharing your holidays with us, Brydie! Tasmania is very beautiful and the food is wonderful. Have a great time. It is beautiful and a whole lot of wonderful. Back home now though. I’m going to love seeing your photos and recollections and finding the overlap 🙂 Gorgeous shots thus far. We got back last night too Kari, can’t wait to see your pictures. Your big jacket come in handy? You are so lucky. After watching Gourmet Farmer (and buying the DVD) and reading about Michelle’s lifestyle in Country Style I really want to visit Tasmania, and one day even move there. The way of life their seems so idyllic. For now I’ll just dream. Dreams are good Zara. Dreams turn into things if you dream hard enough… and I’m right there with you. Welcome back! Lovely pics so far..looking forward to hearing more about your trip. Have you read Living the Good Life by Linda Cockburn? She traded a life of hustle and bustle in (suburban QLD in her case) for a slower pace and strawbale cottage dream in Tassie. It’s a great read! She has a blog too.. I looooooove Tassie. Did you try any Bruny Island Cheese? And absolutely fantastic op shopping ssssssh don’t tell anyone. We try to go once a year and always bring back the most amazing mementoes be they art/craft/antiques/food/memories. I did have some of Bruny Island Cheese and it was delicious. Even went over there to sample some more but it was closed…which was a bugger. YAY I love your Tassie stories! And I’ve got one to go too on Hobart. Isn’t it great there? The produce is just so story worthy! There are so many fantastic looking foodie places to eat in Hobart. So many great options, that are just begging to be sampled. Clever girl. 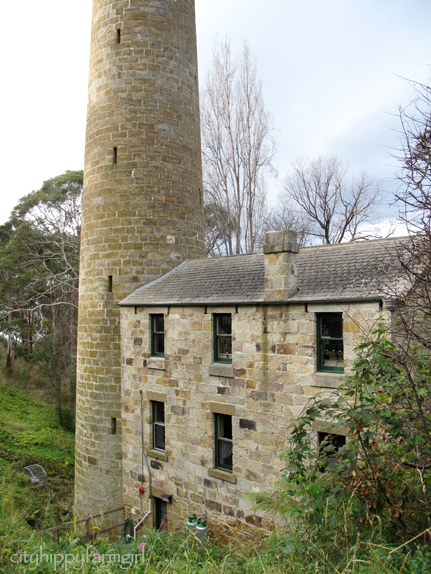 A shot tower it is, built in 1870. The whole process of how a shot was made is quite amazing. We climbed to the top on some rickety looking old stairs. The Monkeys frollicked ahead and I gripped on with sweaty hands. Heights and I aren’t the best of friends. So the little monkeys got piggy and cupcakes, you got an autographed recipe book, what treasure did Mr. Chocolate get? What a great adventure- you – once again in pure food land! 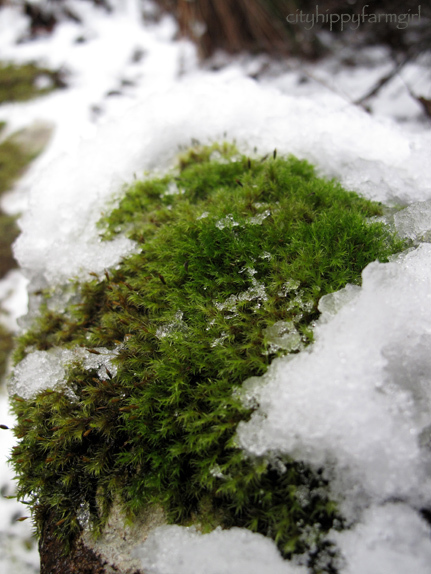 I love the photographs- especially the moss in the snow. So clear and clean! 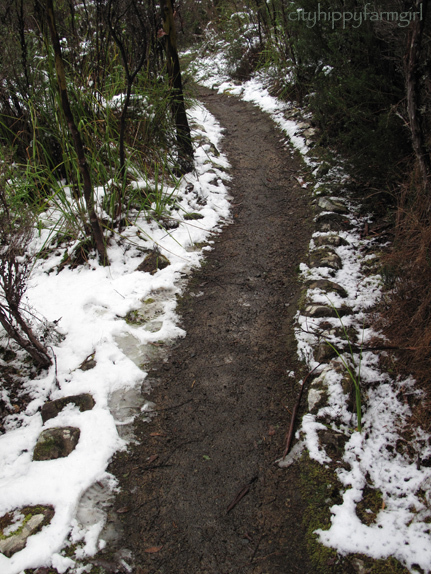 It is nice to see a little snow in the middle of a hot and sticky summer (here). I’m looking forward to your adaptations of the recipes! Glad to hear you had a good time. I loved my visit to Tasmania in February. My only regret was that I didn’t manage to visit Hobart on a Saturday for the market. 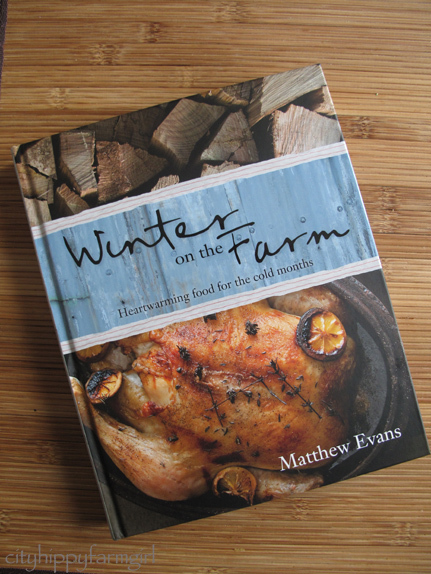 I need to pop into a book shop to check out Matthew Evan’s new book. I love the Real Food Companion. The Salamanca markets are great. Lots of goodies. Lovely pics of Tassie. 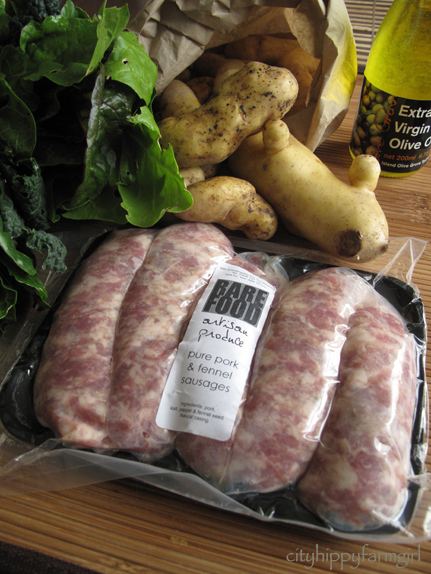 It’s reminding me of the Gourmet Farmer series – which I found out about on your blog – a very satisfying DVD purchase. Just watching that show made me want to move there! I ditched candles on my bookshelf to make room for the book yesterday. Who needs candles with kids around anyway! What a great place. I want those sausages! 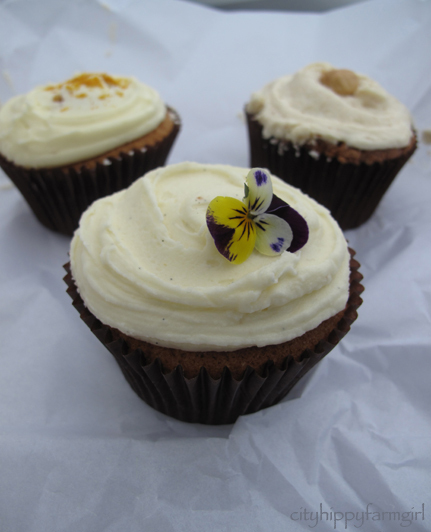 Have you seen the blog A Bloke Who Can Cook? He lives there and is always talking about the local products. Sounds so cool. I have! And actually found him just before we went through you! I really like his blog. If it wasn’t for the gum trees in the background, I’d have thought that mill was in England somewhere. Hope the rest of the trip was as good as this first bit. So glad you had a lovely break away from the city. Sounds to me like you want to move to Tasmania. It really is a beautiful place and so untouched . Bangalow wouldn’t be a bad substitute at all. That place frequently calls me too. You are right Tassie is beautiful, i came for a holiday 5 years ago and didnt want to leave, we made a 5 yr plan and moved here last november. 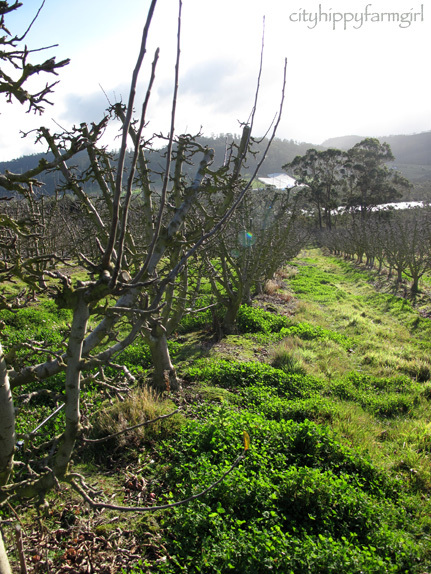 I live in the huon valley, close to the gourmet farmet and cup cake lady, surrounded by orchards, hills, and fresh air, it is the best thing i ever did. Dont just dream do it. 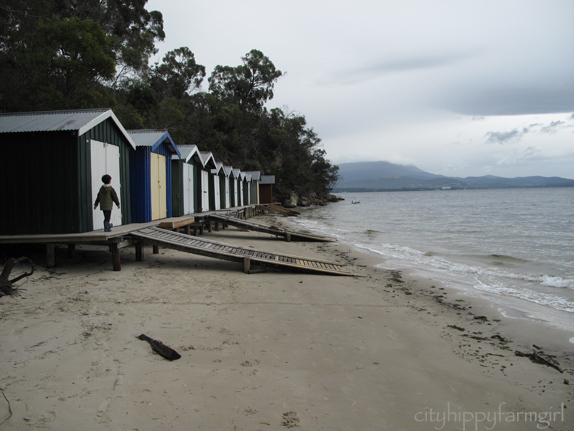 I loved the Huon Valley. I really felt I could easily live there. Gorgeous, gorgeous countryside. I love hearing stories of how people got there… thank you. Oh, I just love Tasmania and haven’t been there for ages, now. I can’t wait to get back there – the food, the wines, and the magnificent scenery – they have it all! your pictures and descriptions make me homesick for winter. I love winter. Gorgeous time of year. Thanks Mary, that’s really kind. I hope you have a wonderful trip to Tasmania! This is perfect! We’re planning a trip to Tassie in September! I here Tasmania calling me through your blog post. It all sounds so amazing. Richard recommended the Real Food Companion on a number of occasions. It looks like I’ll have to get both books soon. 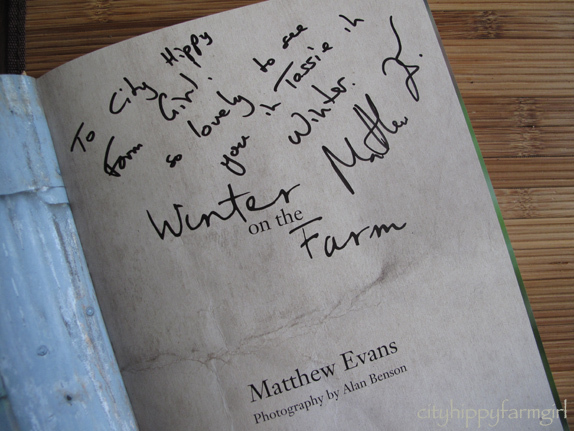 Aahh…Tasmania…and you got to meet Matthew Evans too! Lucky you. Since watching the first series of Gourmet Farmer Tasmania has been on my list of places to visit as well. Can’t wait for the new series to start! i love that photo of the beach boxes and your words about tassie singing you their. i faintly hear it singing to me. Stunning, stunning photos.I know the earth is round, but I still find myself amazed that you have winter and snow now. Beautiful. Your writing melts together with the images, and they remind me of the book I am currently reading. What a beautiful place you live in.